Jay and Cybill smoke an L and cruise down Crenshaw to review “Straight Outta Compton”. Does F. Gary Gray’s movie depict the American Dream gone right or wrong? 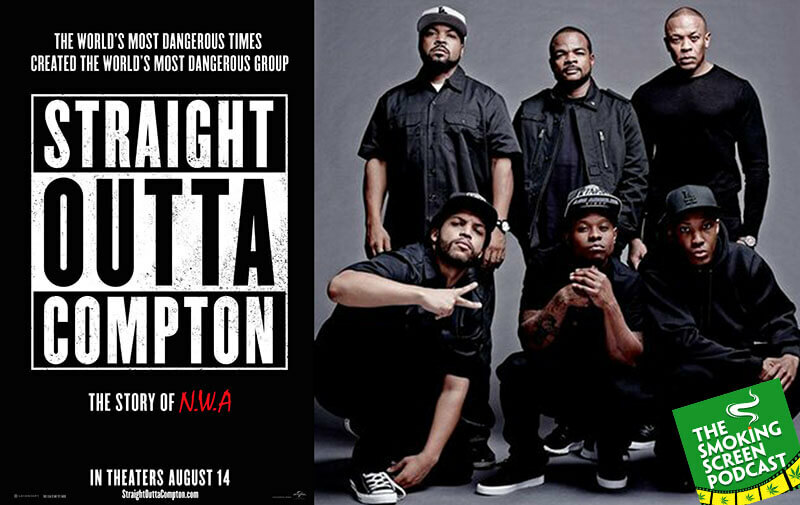 How well does the cast portray the members of N.W.A.? Would Eazy-E be happy with the final product? Did we forget about Dre? How cool is Ice Cube? We don our Raiders gear and jerry curls to take a trip to L.A. for Episode 30 of The Smoking Screen.